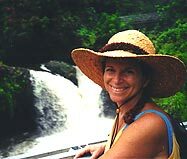 Living on Maui, an island in the Hawaiian chain, Pamela has year 'round opportunity for fun, adventure and rich cultural experience, and she takes full advantage. One of her favorite times of year is Winter when the Humpback Whales migrate from Alaska to breed and give birth off the shores of Maui. Pamela has been an avid kayaker and has taken strong political action to help protect her beloved cetacean friends. When the whales leave in the Spring, Pamela returns to the simplicity of swimming and has a self-proclaimed "Mermaid Club" - a group of women (and men!) who all share a love of swimming to remote places and exploring the oceanic wilderness. 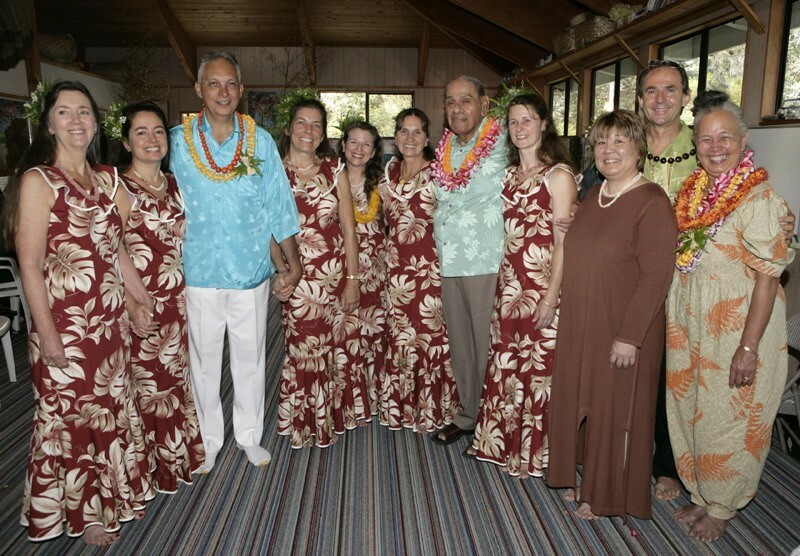 On land, Pamela loves to hike in Haleakala Crater, up to waterfalls in Kipahulu, go to movies, and sing and hula with her halau (hula school) and ukulele class members. When not teaching her private vocal students, Pamela is often found in classes as a student in her never-ending quest to learn and grow. Happily married to successful web designer Bill Ernst, Pamela leads a truly charmed life and is ever grateful for the beauty around her and the warmth of her community. 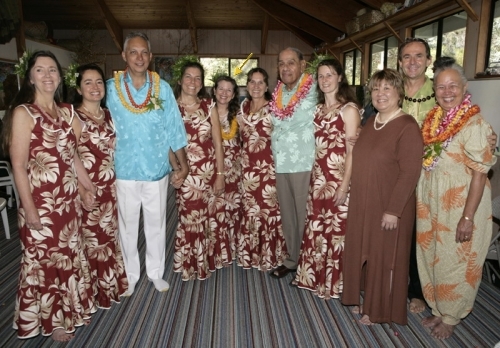 Nā Pua O Leilehua: Pamela's hawaiian music class and teachers. Pamela is a fervent political activist on environmental issues with a strong focus on saving dolphins and Humpback Whales. In 1999, she formed COAST, an organization whose sole purpose was to educate the public and political officials about the potential of various negative environmental impacts on these magnificent marine mammals. COAST eventually merged with Seaflow, an organization that Pamela throws full support to along with her regard for the NRDC , and the Nature Conservancy. To meet some of Pamela's talented friends and see other organizations she supports, please visit the "Links" page on this site.